Okay, so we’re kinda cheating by writing only one post about La Paz, since we were actually in the city about six times. We found that it’s a good (and neccesary) base for transport in all directions for the rest of our adventures in Bolivia, since we had no time/ interest in visiting the Eastern cities of Sucre or Potosí. 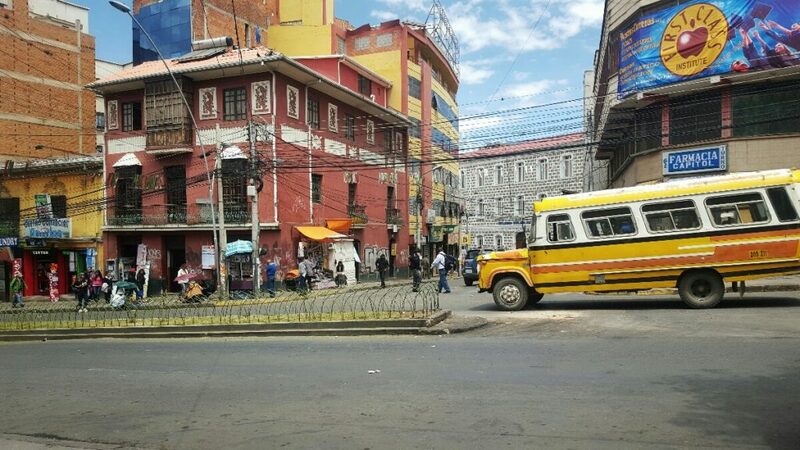 La Paz is the pseudo-capital of Bolivia. 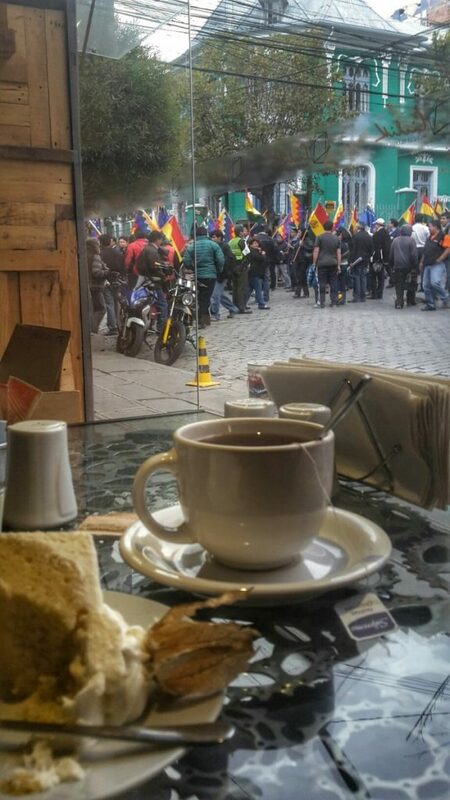 Although the constitution says Sucre should be the capital, the Government is run from La Paz. There is a small square with a fountain with the government palace on one side, honestly it is the least impressive I’ve seen so far, but I suppose it is technically not meant to be the national capital. The city is steep and at altitude, almost everywhere you want to walk leaves you panting after a few metres. The first time we visited it was an impossible 15 minute uphill walk from the nearest avenue to our accommodation; cars struggled to take the incline. I also had a head/chest cold which made me miserable and made breathing extra hard. Michael: La Paz is at altitude, but it’s not that bad. At this point we had been at altutude for a month. Renée had the flu, I was fine. Our first visit to La Paz fell on Palm Sunday. We went for a long walk along a congested avenue, tall office buildings all around. We walked past a half dozen churches. Turns out they actually celebrate Palm Sunday with palm leaves, braided into pretty patterns or laced with flowers. In the evening everything was closed. We walked the empty and frankly scary streets looking for dinner finding only street vendors frying sausage or an old ‘open 24h’ diner with sticky tables, bland food and mould growing in the chilli oil. La Paz did not leave a good impression. Then we found it. The next visit, we found our home away from home, the Rendezvous in the Sopacachi sector of La Paz. A boutique hotel and restaurant owned by a North American Australian citizen. The hotel is more than just a bed in a room, there are homely touches everywhere, heavy furniture, gas hot water, and a toilet that you can flush paper down (it’s a big thing here). Breakfast is a variable buffet of everything that you could feel like, and the owner and other staff are genuinely nice and helpful people. Plus the in house restaurant is pretty damn flash too. Sopacachi is the expat section of La Paz, filled with embassies and nice restaurants and people that know how to make coffee. Most roads we walked weren’t as steep as other parts, which means that I was happy. We rather quickly learnt our way around. Not only walking, which we did a lot of, but catching public transport. The buses are beautiful old fashioned school buses or squishy converted courier vans. We saved a fair bit of money by catching the bus back to Sopacachi from the terminal each time we returned from an adventure. 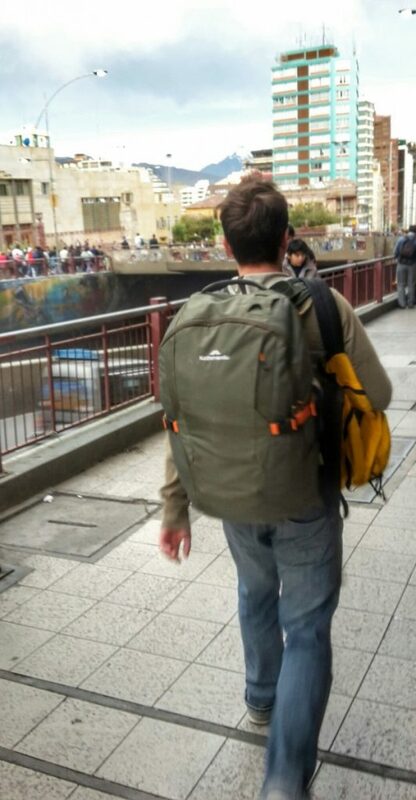 But also, it helped us feel less like tourists and more like travellers. 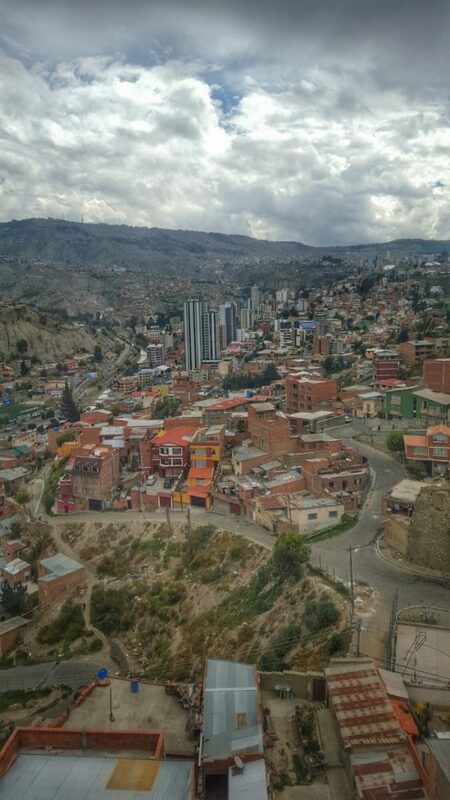 The slums of La Paz are on the highest, hardest to reach peaks surrounding the city. 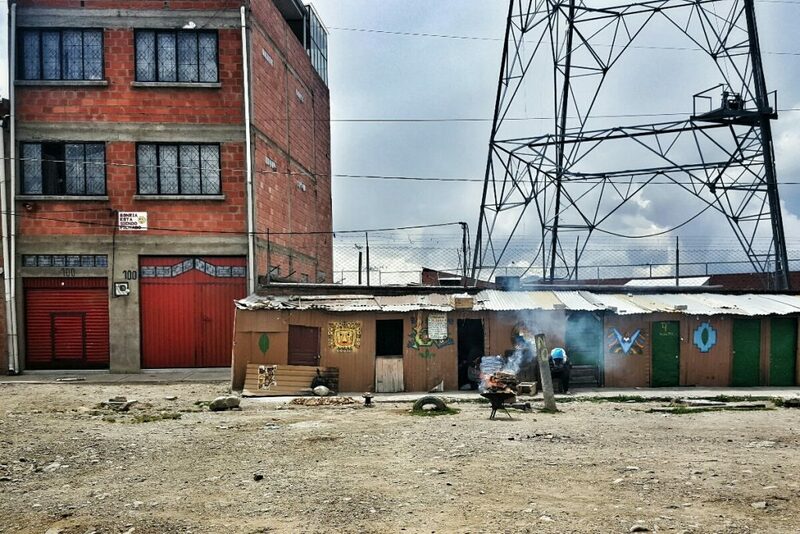 Ten years ago this area was declared a city in its own right, El Alto “the high” has a population of 1 million. 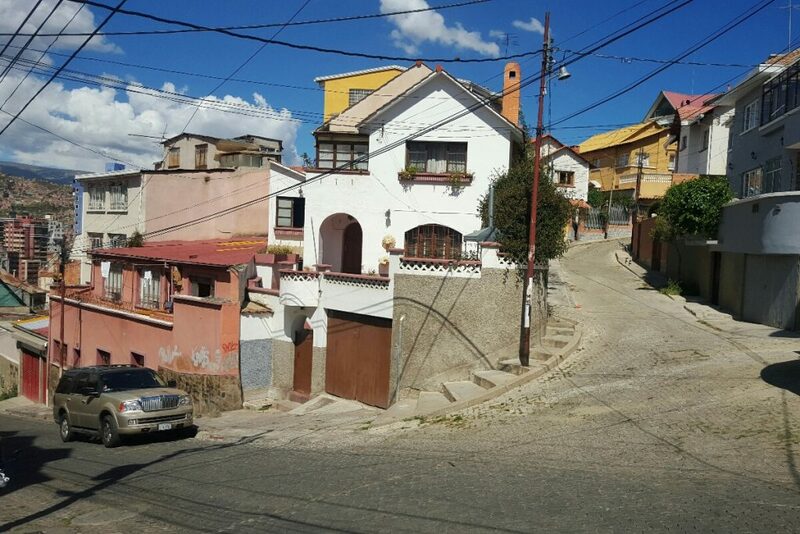 In an effort to ensure social development and opportunity for people in El Alto the government realised that mobility between La Paz and El Alto was vital. The solution came in the form of the most comprehensive cable car system I’ve ever seen. 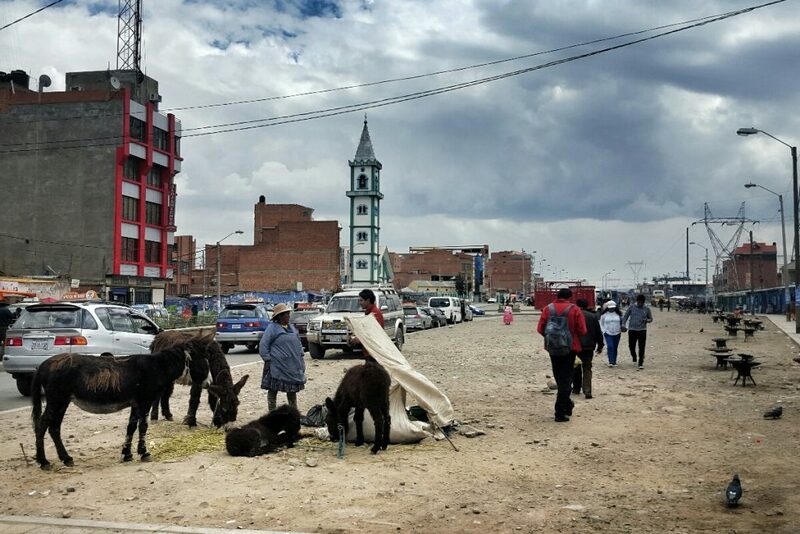 There are a number of lines under construction still but the idea is that the easier it is for the people of El Alto to access facilities in La Paz, the better their standard of living. It also serves as a tourist attraction for people like us who ride the cable cars to the top to look over the city. We caught both the red line which passes over the cemetery district and the green which goes over millionaire mansions on the way to El Alto. We visited the San Francisco Cathedral, which is said to be the prettiest in town. We decided against visiting the adjacent religious art museum, because there are only so many crucifixes I can marvel at, and of late we’ve been in a lot of churches, cathedrals, and religious museums for a couple of atheists. 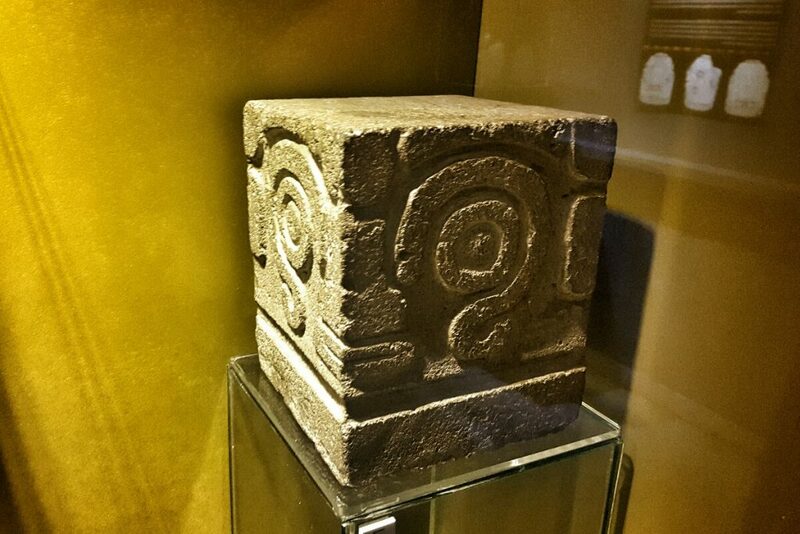 We also visited the archeological museum. It gives a really interesting walk through the history of people in Bolivia. All displays are in chronological order, right up until a wall on indigenous peoples today. The one problem is that all descriptions are in Spanish, I therefore was pushing the limits of my translating skills with terms like sacrificial vessels and scrapers used for hallucinogenic plants. 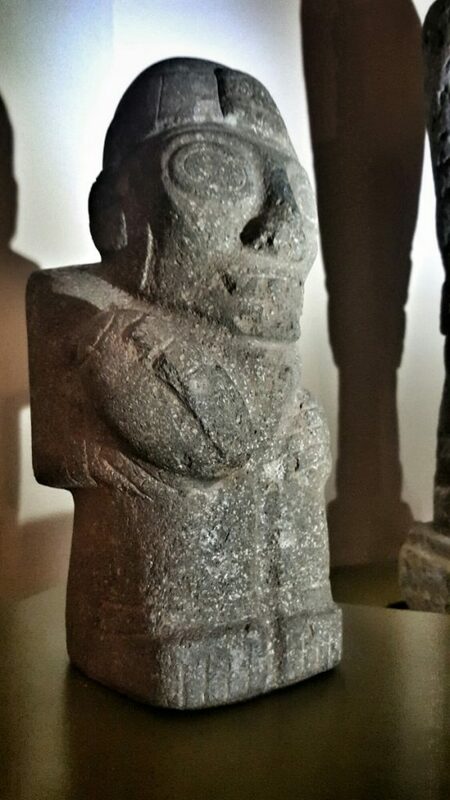 The displays in this museum inspired us to visit Tiwanaku, a source of some interesting objects. 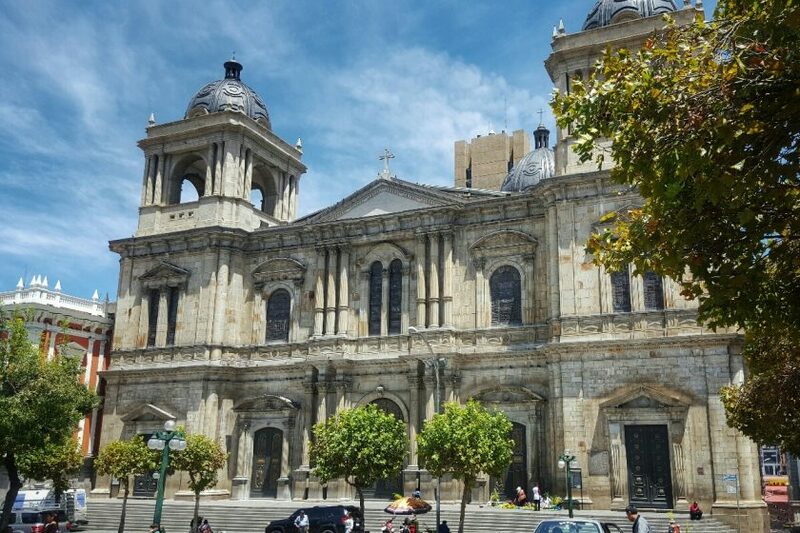 La Paz isn’t really a city built for tourists. There’s no well-trodden circuit, except visiting the cathedral and the nearby witches market. But that doesn’t mean it’s a bad place to be. I really got to enjoy being back in La Paz, each time I felt more at home. There’s just something about it that feels like a place to settle down or start up a business.